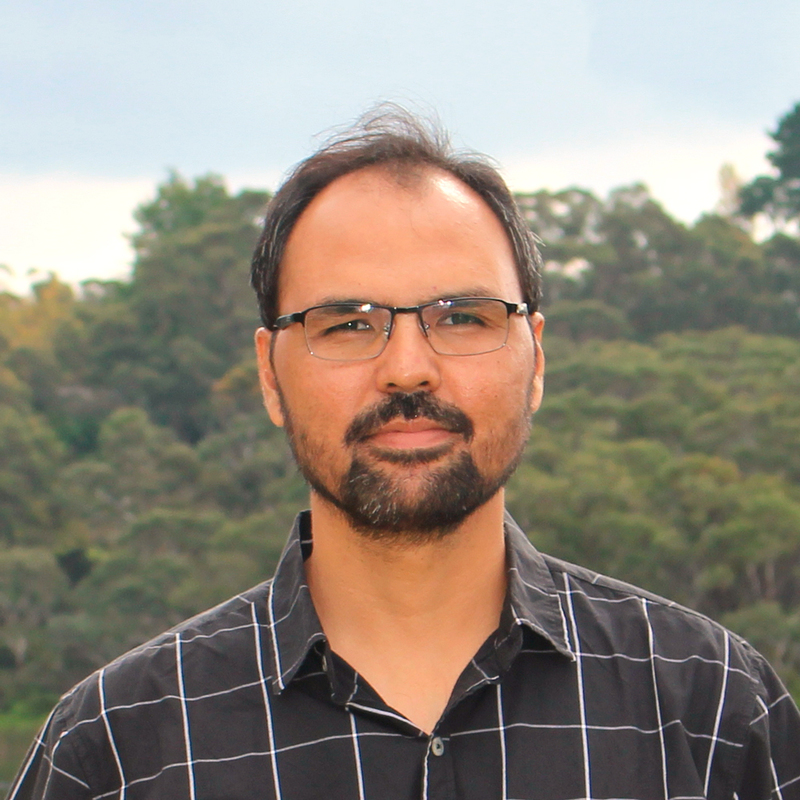 Dr Walayat Hussain is a professional academic, researcher and practitioner in computer science and information system with over 10 years of academic and industry experience. He is working as casual Lecturer at the School of Information, Systems and Modelling, FEIT University of Technology Sydney Australia. Prior to joining UTS, he worked as an Assistant Professor at the Balochistan University of Information Technology, Engineering and Management Sciences and Lecturer at the University of Balochistan for seven years. Walayat’s research areas are Information Systems, distributed computing, cloud computing, fog computing, decision support system, big data, usability engineering and SLA management. His work has been published in different top ranked reputable journals and conferences such as Future Generation Computer Systems, The Computer Journal, Information Systems, FUZZ- IEEE, ICONIP etc. He is the recipient of 2016 FEIT Higher Degree by Research (FEIT - HDR) Publication Award, by the University of Technology Sydney. Track Chair of the “Service Oriented and Cloud” track at 14th International Conference on e-Business Engineering (ICEBE) November 4- 6, 2017 Shanghai, China. Program Committee Member in 13th IEEE international conference on e-business engineering (ICEBE) 2016 November 2016. Member of Board of Faculty, Faculty of Information and Communication Technology, BUITEMS University. Member of Board of Studies, Department of Computer Science, BUITEMS University. Reviewer at different international journals and conferences. The constant increase in the growth of the cloud market creates new challenges for cloud service providers. One such challenge is the need to avoid possible service level agreement (SLA) violations and their consequences through good SLA management. Researchers have proposed various frameworks and have made significant advances in managing SLAs from the perspective of both cloud users and providers. However, none of these approaches guides the service provider on the necessary steps to take for SLA violation abatement; that is, the prediction of possible SLA violations, the process to follow when the system identifies the threat of SLA violation, and the recommended action to take to avoid SLA violation. In this paper, we approach this process of SLA violation detection and abatement from a risk management perspective. We propose a Risk Management-based Framework for SLA violation abatement (RMF-SLA) following the formation of an SLA which comprises SLA monitoring, violation prediction and decision recommendation. Through experiments, we validate and demonstrate the suitability of the proposed framework for assisting cloud providers to minimize possible service violations and penalties. In cloud computing, service level agreements (SLAs) are legal agreements between a service provider and consumer that contain a list of obligations and commitments which need to be satisfied by both parties during the transaction. From a service provider's perspective, a violation of such a commitment leads to penalties in terms of money and reputation and thus has to be effectively managed. In the literature, this problem has been studied under the domain of cloud service management. One aspect required to manage cloud services after the formation of SLAs is to predict the future Quality of Service (QoS) of cloud parameters to ascertain if they lead to violations. Various approaches in the literature perform this task using different prediction approaches however none of them study the accuracy of each. However, it is important to do this as the results of each prediction approach vary according to the pattern of the input data and selecting an incorrect choice of a prediction algorithm could lead to service violation and penalties. In this paper, we test and report the accuracy of time series and machine learning-based prediction approaches. In each category, we test many different techniques and rank them according to their order of accuracy in predicting future QoS. Our analysis helps the cloud service provider to choose an appropriate prediction approach (whether time series or machine learning based) and further to utilize the best method depending on input data patterns to obtain an accurate prediction result and better manage their SLAs to avoid violation penalties. Service level agreement (SLA) is an essential agreement formed between a consumer and a provider in business activities. The SLA defines the business terms, objectives, obligations and commitment of both parties to a business activity, and in cloud computing it also defines a consumer's request for both fixed and variable resources, due to the elastic and dynamic nature of the cloud-computing environment. Providers need to thoroughly analyze such variability when forming SLAs to ensure they commit to the agreements with consumers and at the same time make the best use of available resources and obtain maximum returns. They can achieve this by entering into viable SLAs with consumers. A consumer's profile becomes a key element in determining the consumer's reliability, as a consumer who has previous service violation history is more likely to violate future service agreements; hence, a provider can avoid forming SLAs with such consumers. In this paper, we propose a novel optimal SLA formation architecture from the provider's perspective, enabling the provider to consider a consumer's reliability in committing to the SLA. We classify existing consumers into three categories based on their reliability or trustworthiness value and use that knowledge to ascertain whether to accept a consumer request for resource allocation, and then to determine the extent of the allocation. Our proposed architecture helps the service provider to monitor the behavior of service consumers in the post-interaction time phase and to use that information to form viable SLAs in the pre-interaction time phase to minimize service violations and penalties. Due to the cost-effectiveness and scalable features of the cloud the demand of its services is increasing every next day. Quality of Service (QOS) is one of the crucial factor in forming a viable Service Level Agreement (SLA) between a consumer and the provider that enable them to establish and maintain a trusted relationship with each other. SLA identifies and depicts the service requirements of the user and the level of service promised by provider. Availability of enormous service solutions is troublesome for cloud users in selecting the right service provider both in terms of price and the degree of promised services. On the other end a service provider need a centralized and reliable QoS repository and assessment framework that help them in offering an optimal amount of marginal resources to requested consumer. Although there are number of existing literatures that assist the interaction parties to achieve their desired goal in some way, however, there are still many gaps that need to be filled for establishing and maintaining a trusted relationship between them. In this paper we tried to identify all those gaps that is necessary for a trusted relationship between a service provider and service consumer. The aim of this research is to present an overview of the existing literature and compare them based on different criteria such as QoS integration, QoS repository, QoS filtering, trusted relationship and an SLA. The adoption of cloud computing has increased significantly, but this has given rise to the problem of efficient energy usage. The efficient use of energy by data centers and the use of virtual machines can help to minimize cost deadlines, resources, and utilization and execution times. There is a consequent need for different approaches that can reduce energy consumption whilst still achieving the multiple objectives of cloud computing. In this study, we examine a number of different approaches that have been discussed in the recent literature w.r.t. energy-efficient cloud workflow management, and we compare these approaches for energy-efficient usage of data centers and virtual machines. The results show that virtual machine scheduling and virtual machine allocation approaches are the most commonly used approaches that achieve an optimal energy consumption. Cloud computing is an emerging technology that have a broad scope to offers a wide range of services to revolutionize the existing IT infrastructure. This internet based technology offers a services like – on demand service, shared resources, multitenant architecture, scalability, portability, elasticity and giving an illusion of having an infinite resource by a consumer through virtualization. Because of the elastic nature of a cloud it is very critical of a service provider specially for a small/medium cloud provider to form a viable SLA with a consumer to avoid any service violation. SLA is a key agreement that need to be intelligently form and monitor, and if there is a chance of service violation then a provider should be informed to take necessary remedial action to avoid violation. In this paper we propose our viable SLA management framework that comprise of two time phases – pre-interaction time phase and post-interaction time phase. Our viable SLA framework help a service provider in making a decision of a consumer request, offer the amount of resources to consumer, predict QoS parameters, monitor run time QoS parameters and take an appropriate action to mitigate risks when there is a variation between a predicted and an agreed QoS parameters. Due to the dynamic nature of cloud computing it is very important for a small to medium scale service providers to optimally assign computing resources and apply accurate prediction methods that enable the best resource management. The choice of an ideal quality of service (QoS) prediction method is one of the key factors in business transactions that help a service provider manage the risk of SLA violations by taking appropriate and immediate action to reduce occurrence, or avoid operations that may cause risk. In this paper we analyze ten prediction methods, including neural network methods, stochastic methods and others to predict time series cloud data and compare their prediction accuracy over five time intervals. We use Cascade Forward Backpropagation, Elman Backpropagation, Generalized Regression, NARX, Simple Exponential Smoothing, Simple Moving Average, Weighted Moving Average, Extrapolation, Holt-Winters Double Exponential Smoothing and ARIMA and predict resource usage at 1, 2, 3, 4 and 5 hours into the future. We use Root Means Square Error and Mean Absolute Deviation as a benchmark for their prediction accuracy. From the prediction results we observed that the ARIMA method provides the most optimal prediction results for all time intervals. © 2015 IEEE. Due to the rapid increase in the use of social networking websites and applications, the need to stream video over wireless networks has increased. There are a number of considerations when transmitting streaming video between the nodes connected through wireless networks, such as throughput, the size of the multimedia file, response time, delay, scalability and loss of data. The scalability of ad-hoc networks needs to be analyzed by considering various aspects, such as self-organization, security, routing flexibility, availability of bandwidth, data distribution, Quality of Service, throughput, response time and efficiency. In this paper, we discuss the existing approaches to multimedia routing and transmission over wireless ad-hoc networks by considering scalability. The study draws several conclusions and makes recommendations for future directions. © Springer International Publishing Switzerland 2015. A service level agreement (SLA) is a legal document that binds consumers and providers together for the delivery of specific services for a certain period of time. Providers need a viable SLA to maintain successful relationships with consumers. A viable SLA, based on the previous profile of a consumer, will help a service provider determine whether to accept or reject a consumer's request and the amount of resources to offer them. In this paper we propose a softcomputing based approach to form a personalized and viable SLA. This process is carried out in the pre-interaction time phase. We build a Fuzzy Inference System (FIS) and consider a consumer's reliability value and contract duration as the input factors to determine the amount of resources to offer to the consumer. In addition to the Fuzzy Inference System, we tested various Neural Network-based methods for viable SLA formation and compared their prediction accuracy with the output of the FIS. A Service Level Agreement (SLA) is a contract between a service provider and a consumer which specifies in detail the level of service expected from the service provider, obligations, commitment and objectives. In the cloud computing environment, both the cloud provider and the cloud consumer want to know of a likely service violation before the actual violation occurs and to adjust the scaling of the cloud resources appropriately. A consumer's previous resource usage profile is a key element in determining the possibility of service violation in the cloud computing environment, which has not been an area of research focus so far. In this paper, we analyze and compare QoS prediction by considering the consumer's previous resource usage profile in various conditions. From comparative analysis, we observe that by combining a consumer's previous resource usage profile history along with the previous resource usage profile history of its nearest neighbors, we obtain an optimal result. The worldwide web (www) provides a platform that enables service providers to transcend barriers and engage with current or potential customers globally resulting in their economic growth and expanded business horizons -- thereby creating the internet economy. It enables customers to receive desired services in a cost effective way, but given the open and ubiquitous nature of the www, particularly in cloud computing, both service providers and service consumers need efficient approach that guarantee their business requirements will be met. Additionally, all stakeholders need an efficient system that predicts any violation before it occurs and recommends how to mitigate those violations to avoid any penalties. In this paper we propose an intelligent, profile-based SLA violation prediction model, from the provider's perspective. The model begins monitoring an SLA in the pre-interaction time phase, before finalizing the SLA. It intelligently predicts the consumer's likely resouce usage, by considering the consumer's reputation from its previous transaction history, and determines the level of required resources based on their reliability. The framework helps service providers: make decisions about whether to form SLAs, maximize profit, and avoid service violations in post-interaction time phase. Sohaib, O, Hussain, W, Ahmed, A & Khattak, BS 2011, 'Understanding Context- aware Architectures for Ubiquitous Environment', International Conference on Future Information Technology, Singapore, Singapore, pp. 154-158. Hussain, W, Sohaib, O, Ahmed, A & Khattak, BS 2011, 'Comparative study of WCAG 2.0, IBM Web 5.1 and Section 508-1194.22 for Lower-Literate Web-Users to enhance Content Usability', FUTURE INFORMATION TECHNOLOGY, International Conference on Future Information Technology (ICFIT 2011), INT ASSOC COMPUTER SCIENCE & INFORMATION TECHNOLOGY PRESS-IACSIT PRESS, Singapore, SINGAPORE, pp. 149-153.